Business acumen is the ability to assess an external market and make effective decisions. You need the skills and tools to think more like an owner of the business and to understand, set and execute business strategy while being able to measure the effectiveness of their business strategy through financial performance – skills that I think many of us can improve upon. Think about what you’re responsible for in your job. How often do you think about or consider the impact of your decisions on other areas in your company? For example product supply? Or finance? Or your implementation team? 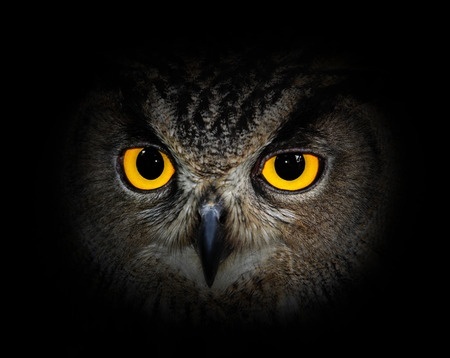 2 tips to help build your business acumen in category management. We define an opportunity as any project or investment that will create growth. Opportunities, however, can be overlooked when we do not pay attention to the big picture. Individuals with business acumen are constantly recognizing opportunities for growth. If recognizing opportunities does not come easily for you, there are steps to take that will ensure that you do not overlook growth opportunities. Actively research shopper needs: Conduct market research and anticipate shopper needs, which need to be fulfilled. Remember that the retailer owns the shopper – not your marketing team in a supplier. Pay attention to competitors: Take advantage of a competitor’s weakness and learn from their strengths. Identify industry and market trends: Monitor changes in the market such as technological advancements. 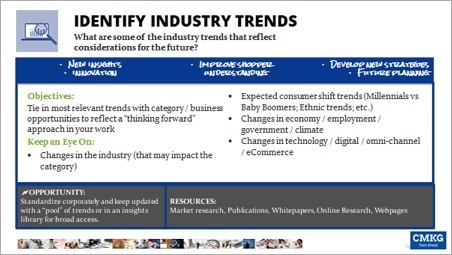 Industry trends are examined to make predictions. They should include trends related to consumer behaviour, employment, technological advancements, new product development, competition, government norms and other factors that impact the industry. Decisions need to be made carefully and mindfully. When you’re in a stressful situation, you might make decisions based on emotions or external pressure. Try to recognize the events that increase your risk of making a poor decision that can have long term consequences. Mindful decision making combines reason with intuition to come up with decisions that are based in the present. Be in the moment: Pay attention to how you feel physically and emotionally, allowing you to consider any feelings of conflict and identifying their sources. Be Clear: Investigate for clarity by checking in your feelings and identifying the type of decision you are making. Once you identify the decision, make sure you have gathered the necessary information to make the decision – this should include consulting with the people who will be affected by your decision. Make a choice: Once you have all the information, listen to your intuition, and write down your decision. Take some time to consider this decision. If you are still comfortable with the decision after a few days, act on it. Don’t decide too quickly, but on the other hand, don’t avoid making a final decision. Want to watch the recording of Building Your Business Acumen in Category Management? Current students and members can login to the online training and resource center. Not a member or student? Choose a Catman Learning Membership Level that works for you. All premium memberships include webinars, resources, whitepapers, and more. Remember, business acumen requires finance, strategy and decision making. Think about the relationships between these tips, and how different components of business acumen feed off each other. For example, if I start to complete risk assessments when considering changes, I’ll also be able to evaluate my past decisions, and learn how to turn problems into opportunities more quickly. As I start to evaluate my past decisions and see problems as learning opportunities more effectively, I’m going to start to learn patterns and ways to make better decisions as I get better at this, because I’ll start to learn patterns that will help me. As my financial literacy improves, so too do my long-term interactions, not to mention how much initiative I will show in my role. And perspective on how to improve alignment. So now’s your time to really think about what you need to do next. As you improve yourself through improved financial literacy, increased strategic focus, and improved decision making, so too will your business acumen improve. Realize it’s an evolutionary thing – and that there’s always room for improvement – remember the “always be learning” tip. If you don’t take the time to improve yourself, your business acumen will probably stay dormant. I challenge you to get out of your comfort zone and determine ways to improve your own business acumen and let me know if we can help.